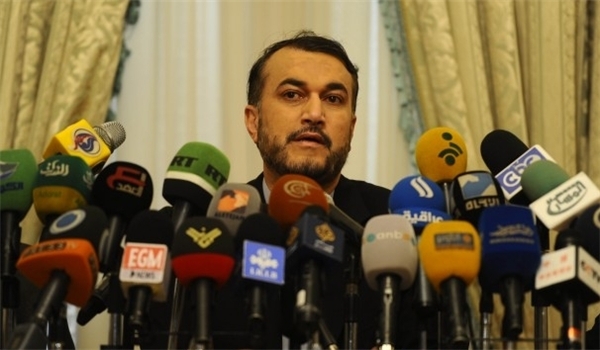 MNA – An Iranian parliamentary official, Hossein Amir-Abdollahian, said US President Donald Trump is seeking a new wave of tension in the Middle East with his controversial remarks on the occupied Syrian Golan Heights. His remarks were in reaction to Donald Trump’s new Twitter announcement that it was time for “the United States to fully recognize Israel’s sovereignty over the Golan Heights,” which were occupied from Syria by the Israeli regime following the 1967 Six-Day War; the move has never been recognized by the international community, and Trump’s announcement has created an unprecedented wave of criticism from many countries, including the US closest allies. The US president’s measures will not help his illegitimate friends in the fake regime of Israel, and furthermore, they will further complicate the security situation in the region, he stressed.